Now that you’ve clicked on this article, we can take it for granted that you’re someone who has taken a plunge to start off with your own business and you’re taking steps to grow it with the best efforts. As long as developing the business model is concerned, it can become intimidating and daunting because you will have to decide about how much it may cost you to launch the business and strategy with which you can reach out to your customers. One of the surefire ways in which you can build the brand image of your business is by content creation. It is only through content that you can continue building trust on your brand and at the same time you can keep educating and entertaining your consumers about the services that you provide and the reasons behind offering such services. Here are few ways in which content creation can help build your brand image. It is something to develop content but when it comes to content marketing, you will actually require developing a strategy. This will initiate when you take the first step of defining the audience. There are many new businesses which create buyer profiles to help streamline the kinds of topics and the type of content that needs to be developed. If you write a message that is more detailed, this will definitely lead to better conversion. For instance, if you’re someone who sells health insurance policy, your target audience will definitely be people who are under 65 years of age as the other half would be resting on Medicare. When it comes to the content marketing strategy, you should your business apart from that of your competitors. 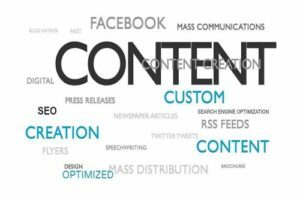 Developing branded content regarding the solutions which you offer will help both conversions and also the rankings on search engine. When you develop your content marketing strategy, don’t just build branded content around who the business is and what they offer but you should also include how they are different from the other competition in the market. Remember that creating content won’t be enough if you don’t have anyone to see it. Your website requires having vital content which speaks about the solutions which your company offers for the main target audience. When you’re developing content, ensure it becomes easy to find and you have the required budget to endorse the content. So, no matter how good you shape your content, you have to make sure you spend money on promoting it lest all your efforts go in vain. Most of the content that you develop will be regarding the same themes and topics. You have to keep creating content on what your company actually deals with and the solutions which are offered and all these have to be repeated time and again in different ways. This type of content needs repetition and it is only in this way that you can earn the trust of people. For instance, in case you’re in the industry in wellness and health, seasonal illnesses are the best topics for conversation. The flu season comes almost in all years and hence if you’re in the healthcare industry, you shouldn’t think that the blog post about flu in the last season will help you in this season as well. So, now that you know the different ways in which you can build your brand image in 2018 through content creation, what are you waiting for? Take immediate action and build your brand image.